Teams presented their highest ambitions for 2031, as part of the Vision 2031 process. 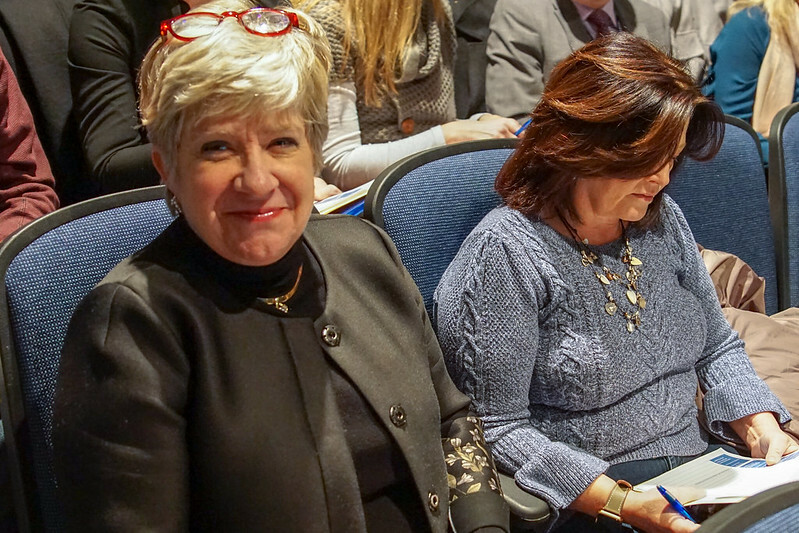 On Nov. 19, nine strategic focus teams presented their big and bold visions for the future of Hopkins Public Schools to an auditorium of community members, staff and students. The presentations summarized six weeks of exploration and research into nine different topic areas that were identified as a priority through a strategic planning process held over the summer. Strategic focus teams were tasked with dreaming big and reimagining their respective topics. "Every Hopkins student deserves the best, and one way of ensuring we deliver the best is engaging multiple, caring stakeholders in helping us think through our bold, innovation vision," said Dr. Rhoda Mhiripiri-Reed, Superintendent of Hopkins Public Schools. "The 250 parents, community members, students, and staff have contributed to Vision 2031 in a tremendous fashion. They thought above and beyond themselves and their own children, they ideated in bold and outside-of-the-box ways, and they delivered what we requested." Teams presented their highest ambitions for 2031, as part of the Vision 2031 process. They articulated what success would look like within their assigned area, and identified short- and long-term recommendations for the Hopkins District. These recommendations will be instrumental in evolving Vision 2031 into a bold strategic plan oriented around action and impact. What does this system look like? We're not sure yet, but we do know that it looks very different from the traditional model. It will be flexible and honor self-directed learning and learning beyond the school day. It's also clear that innovation will be at the center of what we do. As each team presented on their topic, audience members gave written feedback. They also contributed their thoughts to a live feed scrolling on a separate screen. In the weeks to come, Hopkins administrators and school board members will go through the recommendations and the feedback audience members provided and begin to carve out the next steps. Stay tuned for details. Vision 2031 is a collective process. Want to get involved? Visit hopkinsschools.org/worldclass for upcoming events and opportunities to provide input.